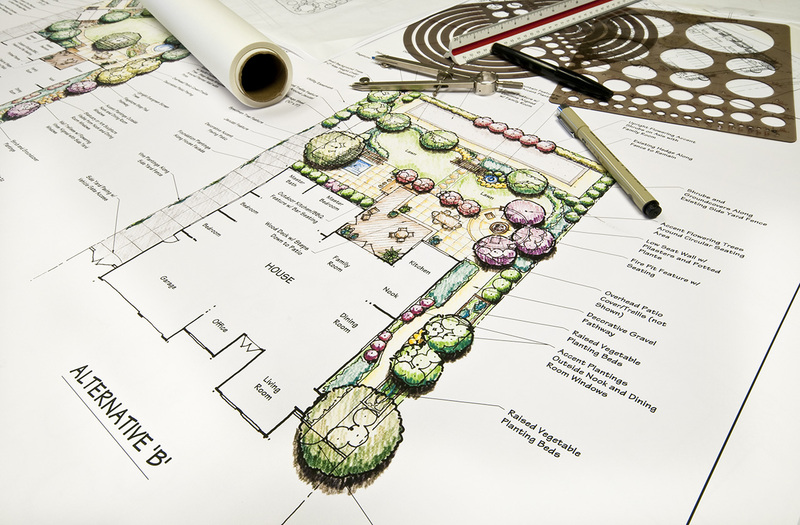 Four Elements Landscape treats each project with the utmost importance using custom designs that specifically incorporates your preference and budget. Whether the project is large or small, we approach the drawing board with the same mentality. We will walk you through our industry leading installation process, giving you a complete understanding of how a project should be completed. During our complimentary consultation, the following factors are taken into account and ultimately play a critical role in determining what we can do for you. Autocad (Computer aided design) renderings are utilized to determine how space can best be maximized. Our dedicated and skilled team will collaborate with you to create designs composed of allure, function, and sustainability. Creativity fused with experience and knowledge allows Four Elements Landscape to develop your concepts into reality for the ultimate satisfaction and aesthetic appeal.